Auliston Cliff, Loch Sunart on the west coast. On the edge of the drop off at 14 metres, a group of animals with spawn on a hydroid. 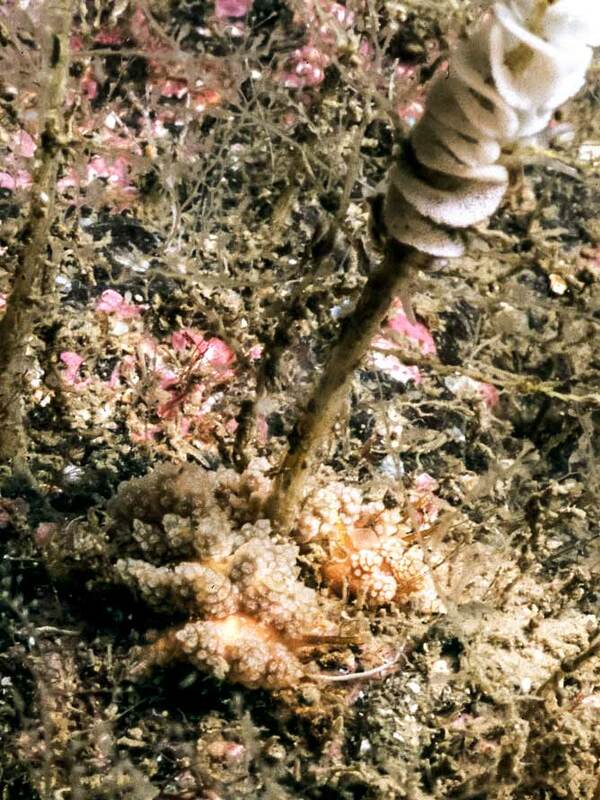 There were several concertina shaped spawn masses among the hydroids at this depth with groups of animals at the base. The animals could only be clearly seen when the overlying detritus was cleared. Nikon 90SX with 60mm lens in Subal housing and Nikonos 105 flash.